ÖBB organized a special train ride in cooperation with the Austrian Chamber of commerce, section driving schools, in order to give driving instructions – important „multiplicators“ for us concerning safe behavior of road traffic participants at level crossings – the opportunity to slip into the role of a train driver. The driving instructors were able to experience how restricted the possibility is to avoid an accident for a train driver – he can not simply change the track, nor will he be able to slow down in time. So the instructors will be able to incorporate their experiences in their teaching and thus, contribute to a higher safety awareness concerning safe behaviour at level crossings. 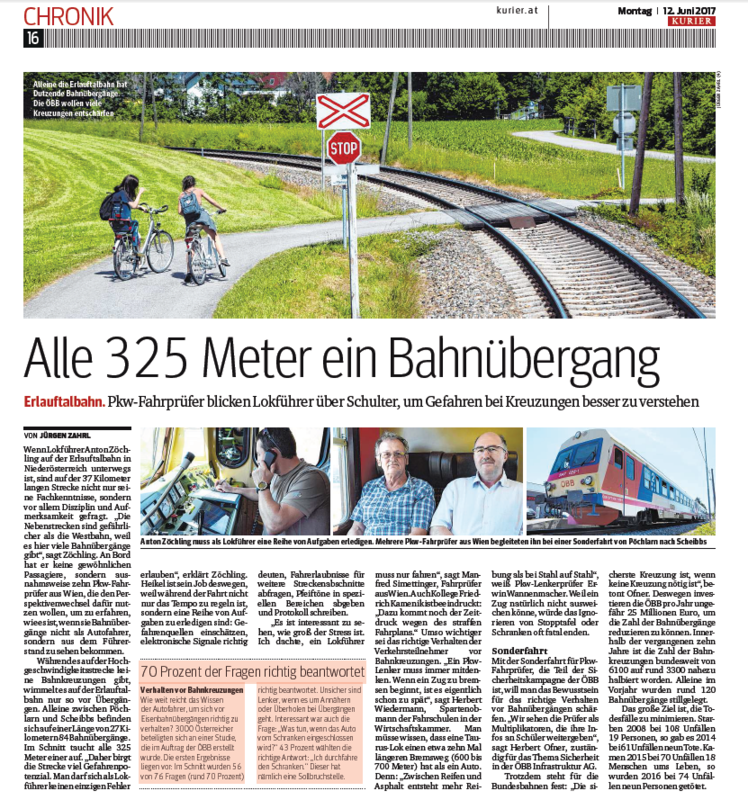 Very positive press reporting about this train ride in the Austrian newspapers.